The seaweed gives the pepper a new dimension. 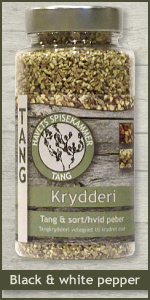 The crisp pepper corns and the seaweed together brings a new way to enjoy both pepper and seaweed. The bottle contains 75 gr.